Nice looking vintage cats. Can you tell me how you get them on and off that dock? 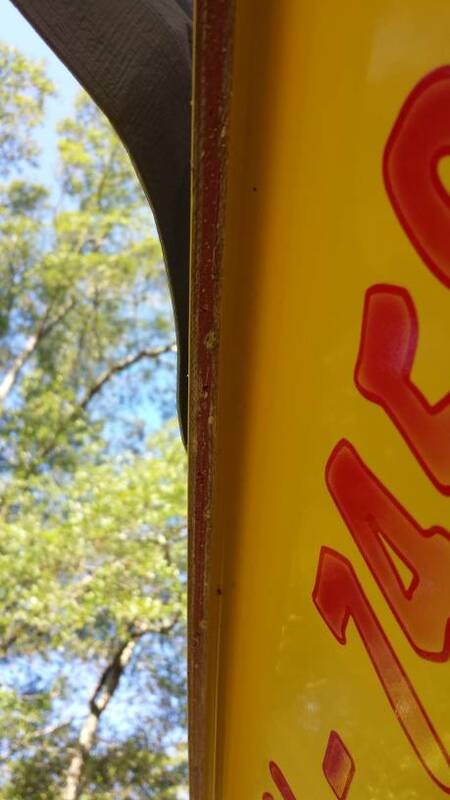 Do you have a method that won't damage the hulls? 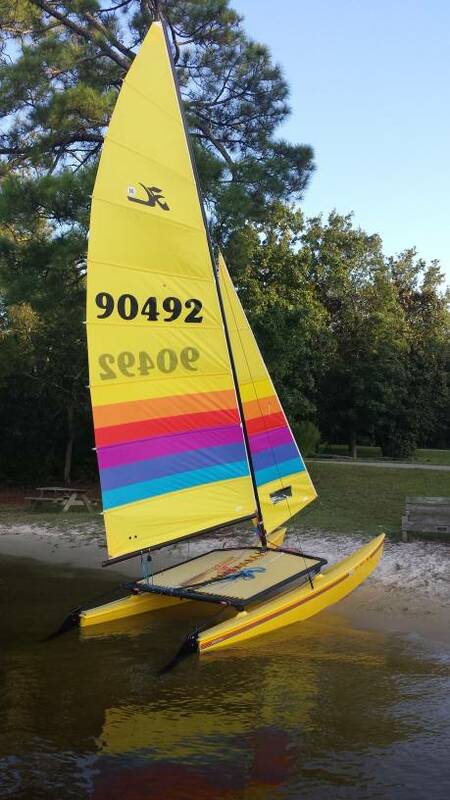 We have a lake place and it has a seawall lining the shore with no beach around at all and I've been searching for a way to have the Hobie there aside from mooring. We just wet the wood down and avoid the screw heads. They slide right up easy as can be. Been doing it for decades and no real damage except the occasional scratch from a screw head. 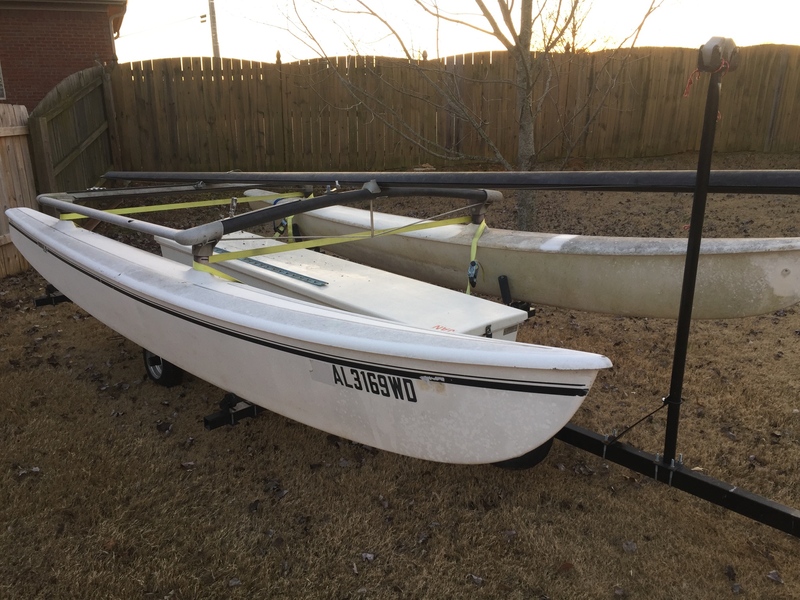 If I built a dedicated hobie Dock it would sit lower and have all counter sunken hardware. Thank you for the reply. We are getting ready to redesign the pier at our lake place to make it more user friendly for the Hobie and paddle boarding and I'm looking for ideas. I like the idea of counter sinking the deck screws, good idea. 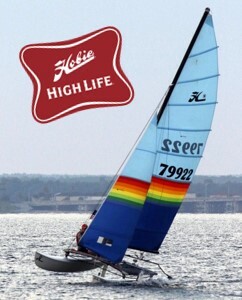 Here is my 1986 H16' with red glue hulls and classic EPO's. I've completely refitted everything to current specs. I kept the all aluminum mast, but replaced the step and base for more rake. 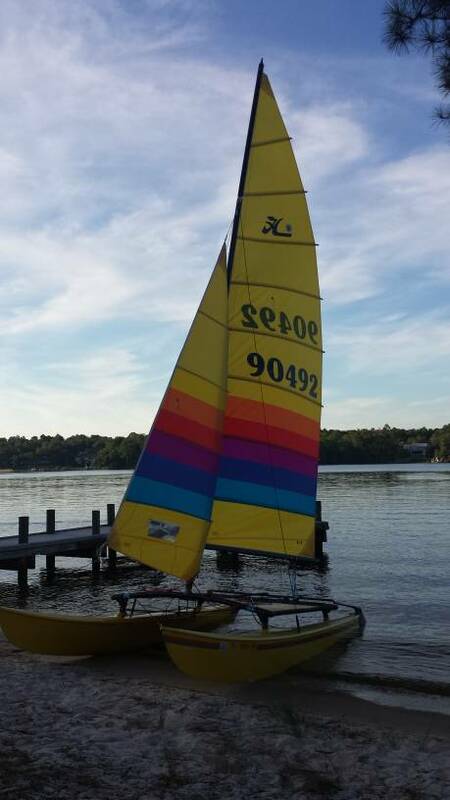 Original sails were Blue Prism. Awesome to see more redlines!!! Here's my baby. 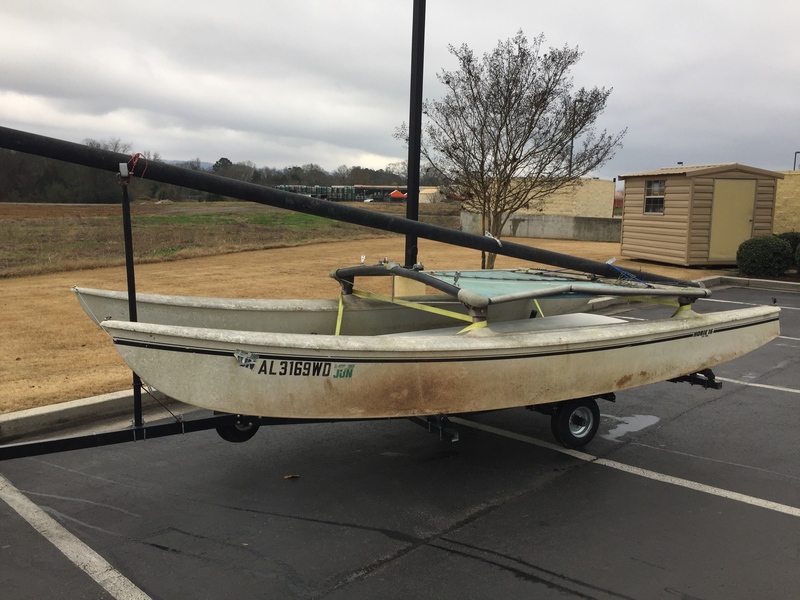 I tried a few new things on this boat, including a bottom job from severe bottom wear and epoxying the frame to the pylons. 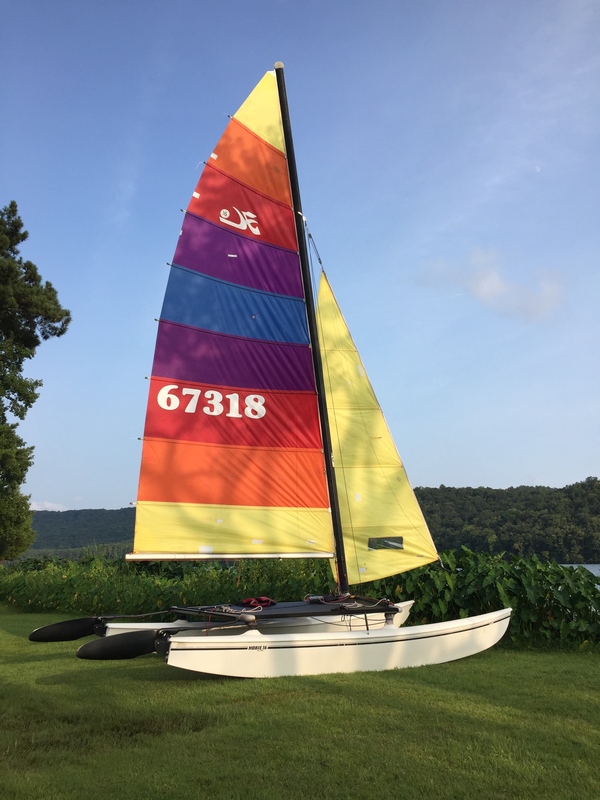 I also did all my usual updates with low profile jib cars, jib traveler trim system, EPO rudders, Harken micro 6:1 downhaul, and Harken 40mm 6:1 mainsheet blocks. Dang, you really gave that one a new life for sure!!! Looks fantastic!!!!! Hey, you are welcome. That boat will give you many years of happiness, cutting through waves, slashing through the wind!!!! You gave that boat a new life and it will forever return the favor and give you life!!!! Boats know, you'll see!!!! That looks great now! Same hull stripes as my 14 turbo. I like the sail pattern too. 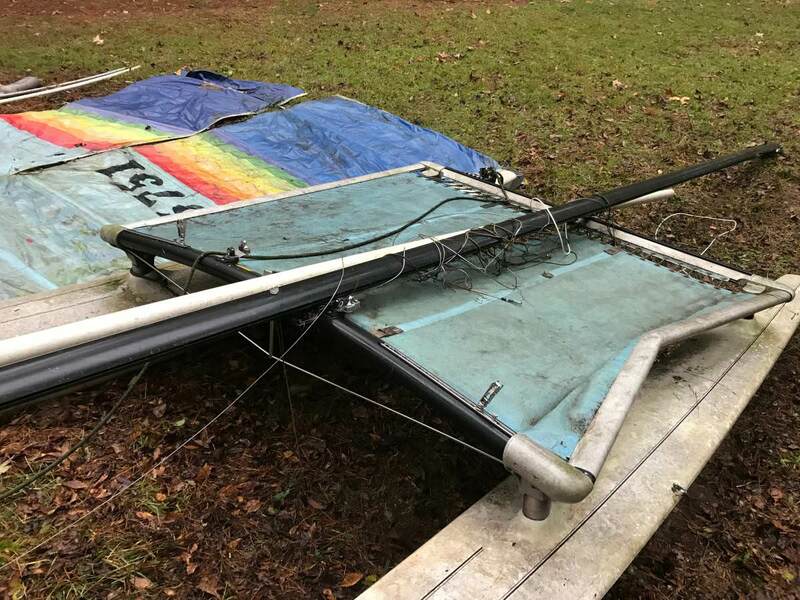 What was the wind speed? Based on my GPS data, I'd say it was steady north wind at 6-8 with gusts of 10-14. I never saw a white cap all day, but there was a nice breeze. 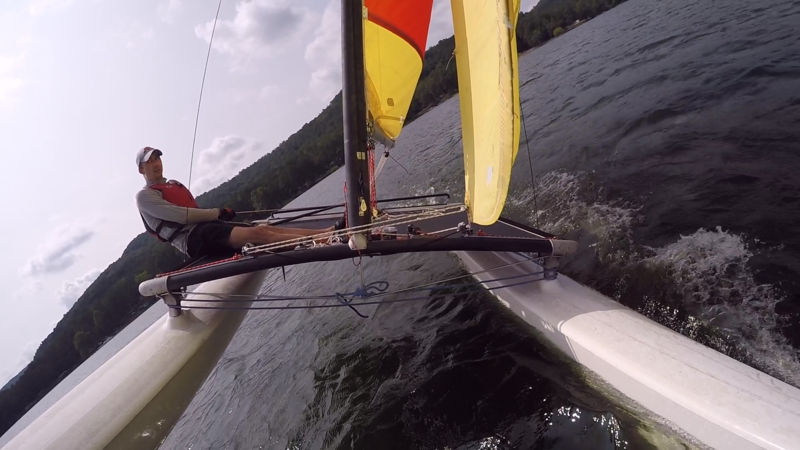 I'm only 165 lbs, so single handed a Hobie 16 is pretty lively. What do you have for a gps? I am trying to decide what one to get. I like that ability to plot it out. I just read the bottom caption. 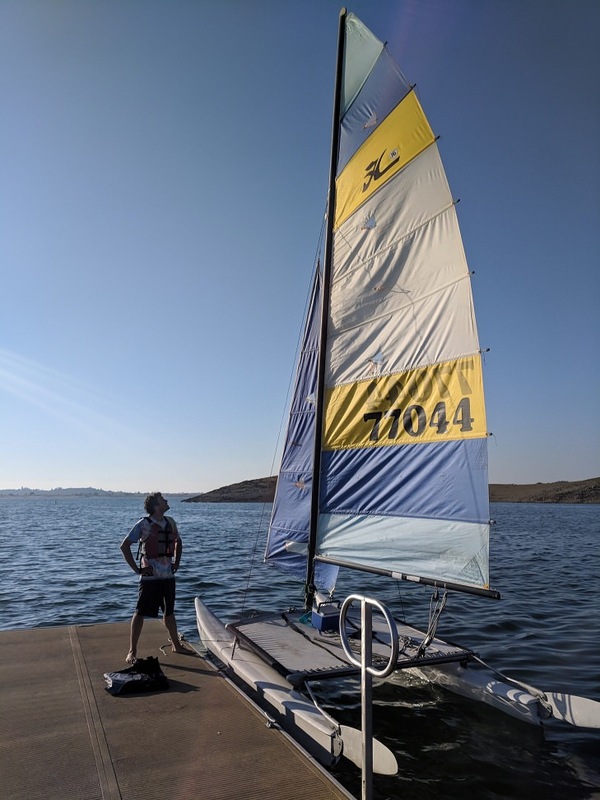 Finally got out(on Folsom Lake) with a friend for a little pleasure cruising and a secondary shakedown run after getting the steering system sorted. 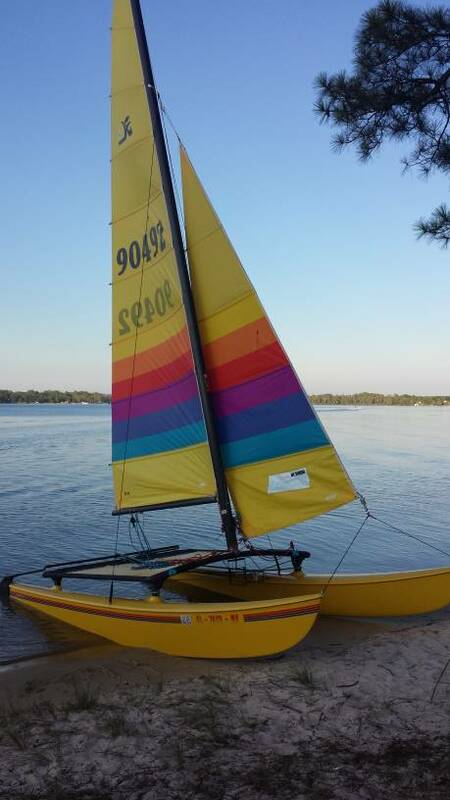 Cool boat, looks like some wide open water also. OK, that link didn't work. Any suggestions? I use Tapatalk to post pictures.